I am writing to tell you of our own contribution to the suffering of the victims of LRA attacks. I have just finished packing collections for the victims of the LRA attacks in northern Orientale Province of DRC. This is part of the Global day of Prayer initiative. On Pentecost Sunday, May 31, we requested churches from all protestant denominations in Bunia to donate clothes to families in Haut Uele and Bas Uele districts of the Orientale Province who had lost everything while fleeing the LRA aggression there. As I write this message, I just finished packing 351.5 kilograms (773 pounds) of men’s and women’s clothing, men’s and women’s shoes, and laundry soap. . We have asked the UN in Bunia to airlift all that to Dingila. UN entrusted the task to MEDAIR Bunia, who sent an official to take the weight. 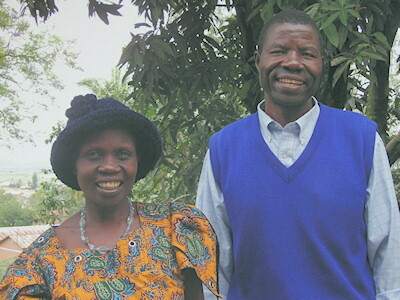 The church in Bunia and around is awakening to missions vision through this initiative of the Global Day of Prayer we helped initiate in 2006. I am so encouraged to see these churches going to the next level of maturity. Life in Bunia is not easy, but here are Congolese Christians reaching out in the middle of their own distress. Below is a map showing the area affected by the LRA rebels and here is a good article about the LRA attacks and their effects: http://www.voanews.com/english/2009-08-07-voa36.cfm. This entry was posted in Christianity, Faith now, Religion and tagged Anguandia, Congo, LRA. Bookmark the permalink.